Thomas Pink was founded in 1984 and is now part of the LVMH (Moet Hennessy - LouisVuitton) Group, Today, the retailer is known for fashionable shirt, tie and accessory maker with branches across the globe from Jermyn Street in London to Madison Avenue, New York. The company has also opened a women’s only store, PinkWoman in Sloane Street, Knightsbridge. Thomas Pink’s reputation for quality derives not only from its superb choice of fabrics and its unfailing attention to detail in the craftsmanship of its products, but also from its relentless pursuit of excellence in its service to customers. An ongoing challenge for the company is to keep on top of its customers’ expectations and it thrives on ensuring they get the ultimate shopping experience. State of the art customer counting and tracking equipment was installed in several Thomas Pink stores. The installations and the resulting data analysis were designed to give the company vital new key performance indicators. Thomas Pink is highly focused on serving its customers to the best of its abilities. This means that it must understand demand patterns. Following the installation of the Ipsos solution, Thomas Pink can now break down its retail traffic data into half hour segments and compare this to sales data, staff stretch and new promotions. It uses this information in order to see how well the luxury brand is meeting the needs of both its customers and its targets. This included the procurement of specially made, high quality brass fittings for the surveillance equipment in store. The company has provided analytics training for the ongoing reporting and works closely in partnership with Thomas Pink. This partnership has evolved with Ipsos Retail Performance now providing deeper insights by constructing weekly league table reports www.ipsos-retailperformance.com Thomas Pink’s reputation for quality derives from its relentless pursuit of excellence in its service to customers. 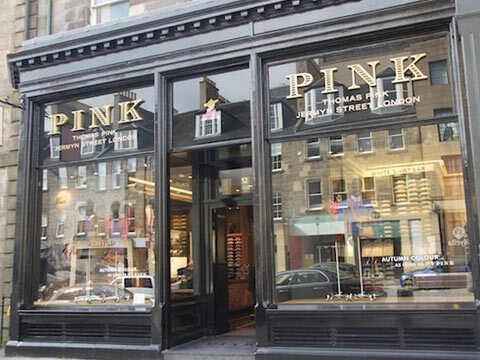 Following the success of the project, further installations are planned to be rolled out in several moreThomas Pink stores around the world.